The 'Alligator' motorcycle from America was launched in 2002 as a limited edition 'Grand Prix' Alligator with the build number capped at 36. The number 36 is significant as it was the number that donned the Formula 1 Eagle which won the 1967 Belgian Grand Prix at Spa, a first for an American built car and driver/constructor team. And the Alligator motorcycle is constructed at the same factory as the F1 car was. 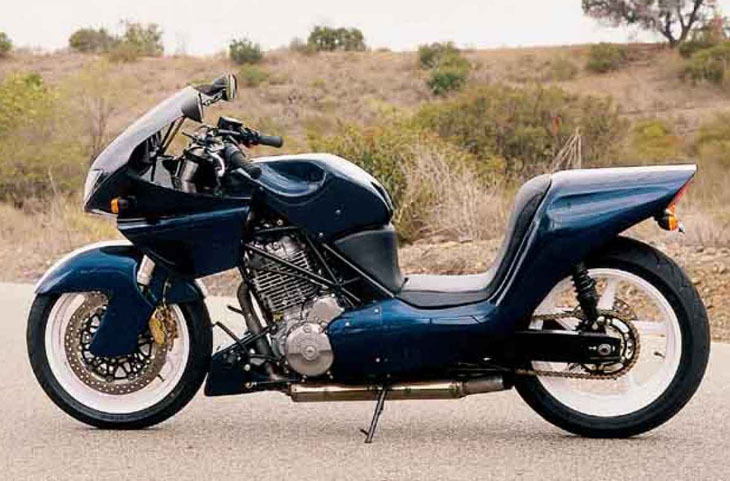 The Alligator motorcycle's creator, Ex-racer Dan Gurney, designed the bike to have an exceedingly low center of gravity, a high level of riding confidence, and an aerodynamic shape. Powered by a single-cylinder 710cc Honda engine developing around 70 horsepower, the Alligator has 0-60 mph time of 3.1 seconds and a top speed of 140 mph. 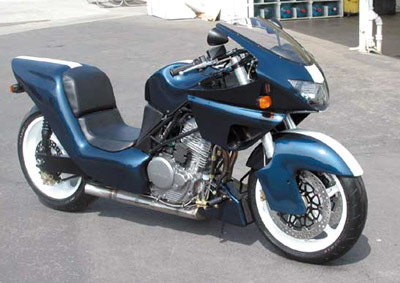 The unique body work of the Alligator motorcycle is constructed from carbon fibre and placed over a chromoly frame. 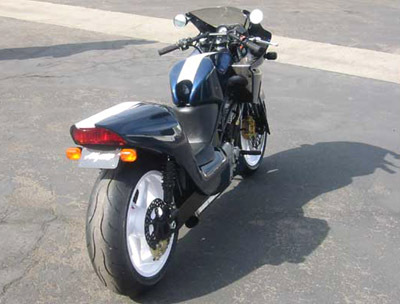 The fuel tank sits behind the engine under the single seat. While the Alligator motorcycle might feature a few novel ideas. The less said about its overall appearance the better.